CRL Steel Concave Edge Rollers for retainer spline installation. Steel ball bearing roller riveted to a steel yoke. Finished wood handle with contour grip. 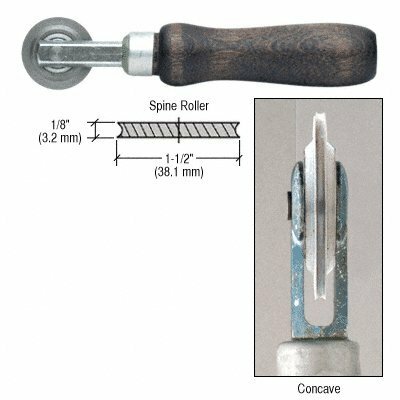 Different roller thicknesses accommodate varying spline diameters. If you have any questions about this product by CR Laurence, contact us by completing and submitting the form below. If you are looking for a specif part number, please include it with your message.